MSU-SASE 2012-2013 Result now available! For those who took the MSU-SASE last September 19, 2011, the MSU-SASE 2012- 2013 Result is finally out and now available for download. Just follow the instructions below on how to get your individual ratings for MSU-SASE 2012-2013. To get MSU-SASE SY 2012-2013 result, select SASE--2011-9-18 in the search form found at the bottom of this post, then on the second box fill in the applicant's Last Name, First Name or the Name of School (don't forget to match the search type) and then click Search. To view and download the Report of Rating, click the name of the applicant. Then provide your email, your Father's Name and click Print. IF SEARCH RESULT Does not appear, Visit the MSU-SASE Official website by CLICKING HERE. 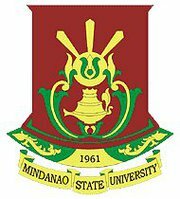 MSU-SASE stands for Mindanao State University System Admission and Scholarship Examination.